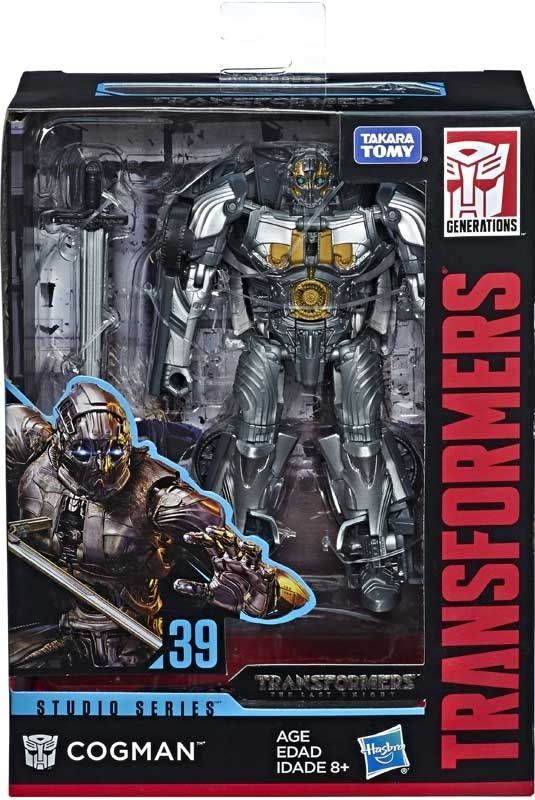 Reach past the big screen and build the ultimate Transformers collection with Studio Series figures (each sold separately), inspired by iconic movie scenes and designed with specs and details to reflect the Transformers movie universe. Imagine the scene when as Cogman speeds through the streets of London, he remembers to tell Sir Edmund Burton that Agnes called for a snuggle. 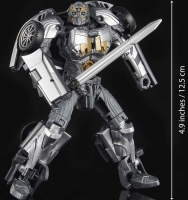 This Studio Series 39 Deluxe Class Transformers: The Last Knight Cogman figure converts from robot to car mode in 19 steps. 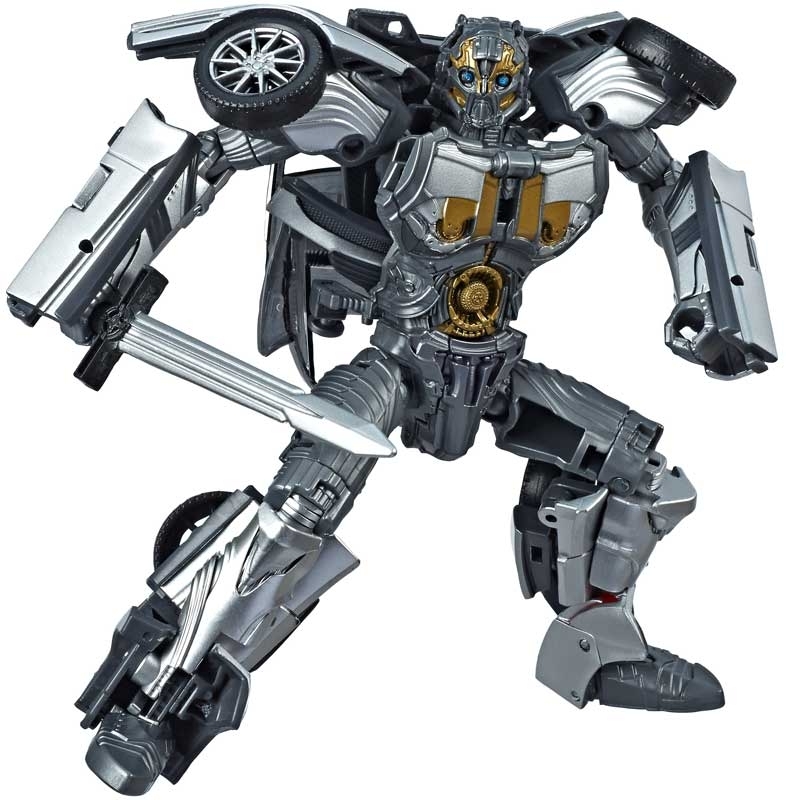 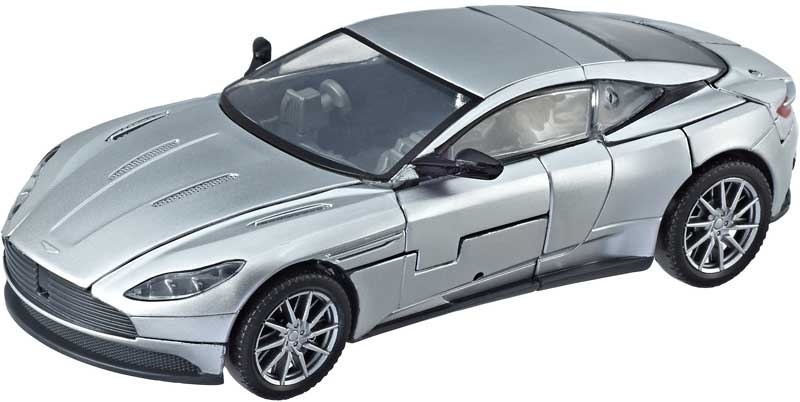 Remove backdrop to showcase Cogman in the London Escape scene. Figure features vivid, movie-inspired deco and detailed accessories.